From pressed tin ceilings and warm parquet floors to original Tiffany glass panels sparkling over doorways, the gracious guest rooms and suites of the Wentworth Mansion exude the Gilded Age elegance you’d expect in the late 19th century home of a wealthy cotton merchant. 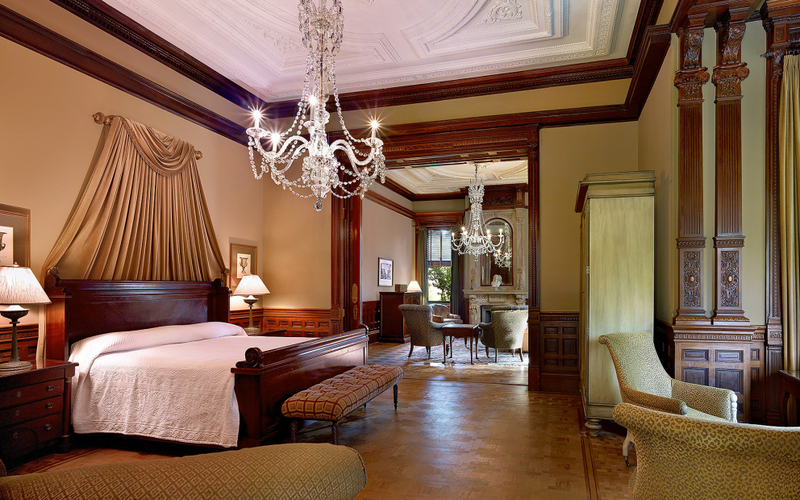 The experience is equally gracious. 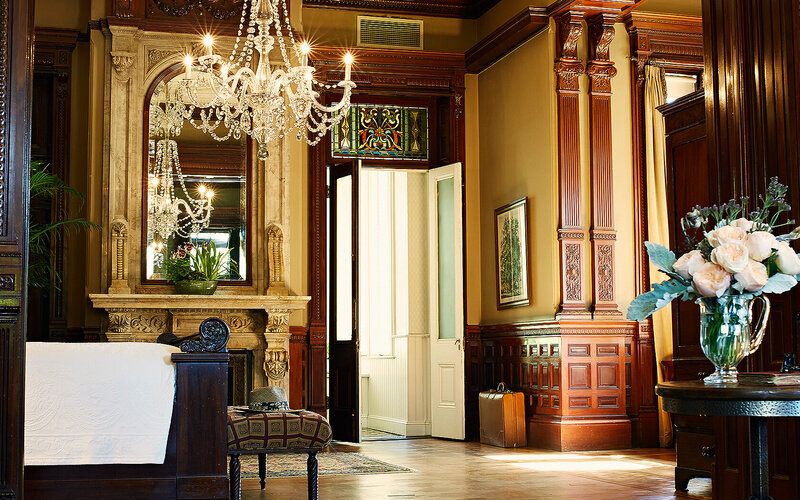 Gather with fellow guests for a full breakfast at Circa 1886 before venturing out to explore Charleston, or return in the late afternoon for a glass of wine and hors d’oeuvres, or sip a glass of port before retiring for the evening. 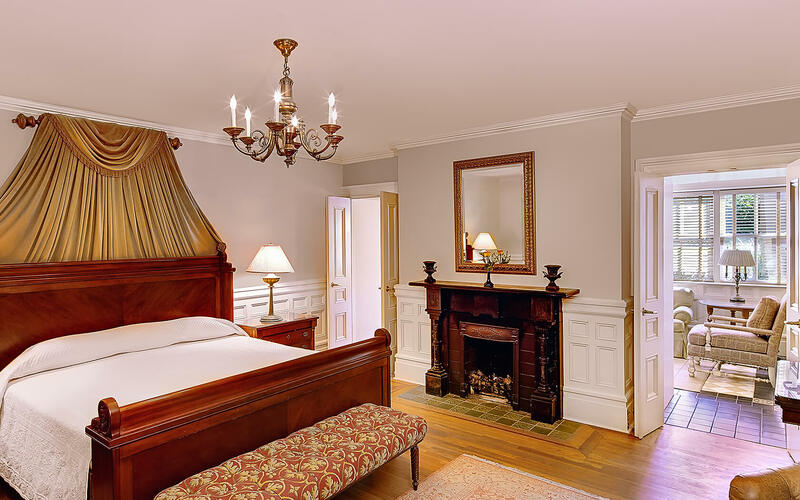 Each one of our 21 guest rooms and suites is unique - in size, in shape, in striking architectural details - but all provide a refined oasis for reveling in the history and charm of historic downtown Charleston. 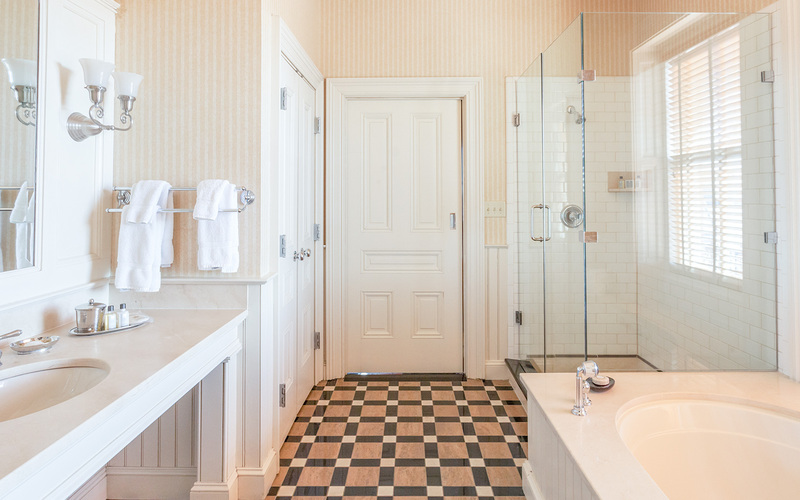 Relax after a day of sightseeing around historic Charleston in our charming East Wing Rooms featuring oversized whirlpool tubs, original gas fireplaces, and private porches (selected rooms). 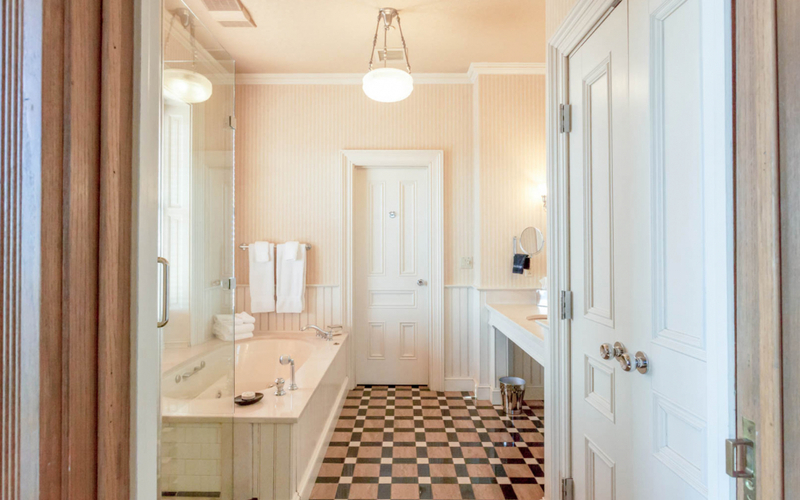 These rooms do not offer elevator access. 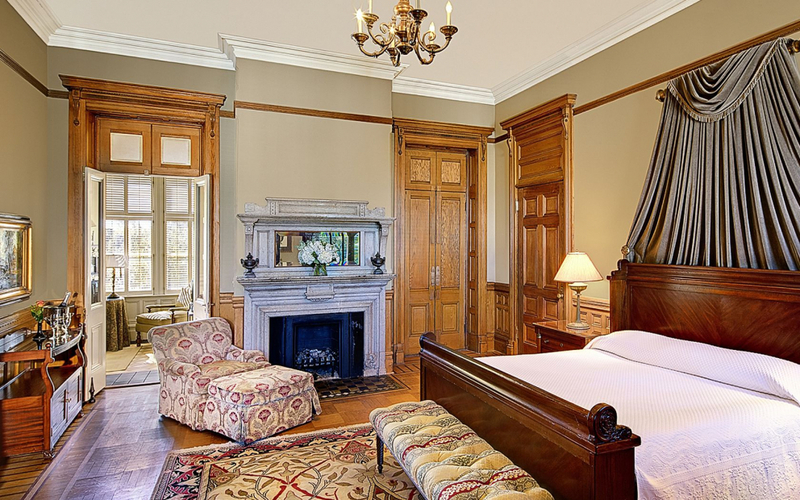 Located on the ground level, our extra-spacious, Garden Rooms each have a beautifully furnished sitting room, an expansive bathroom with walk-in shower and whirlpool tub, and original gas fireplace (selected rooms). 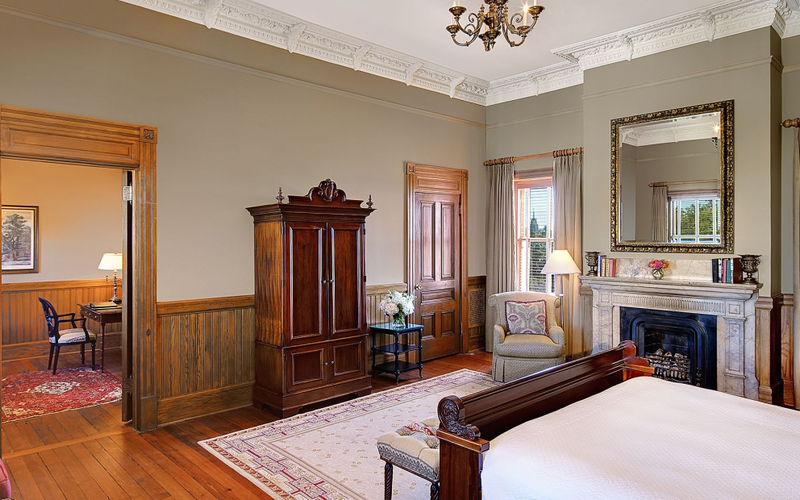 Once the bedrooms of the mansion’s original owners, our elegant Mansion Rooms have abundant original architectural details. 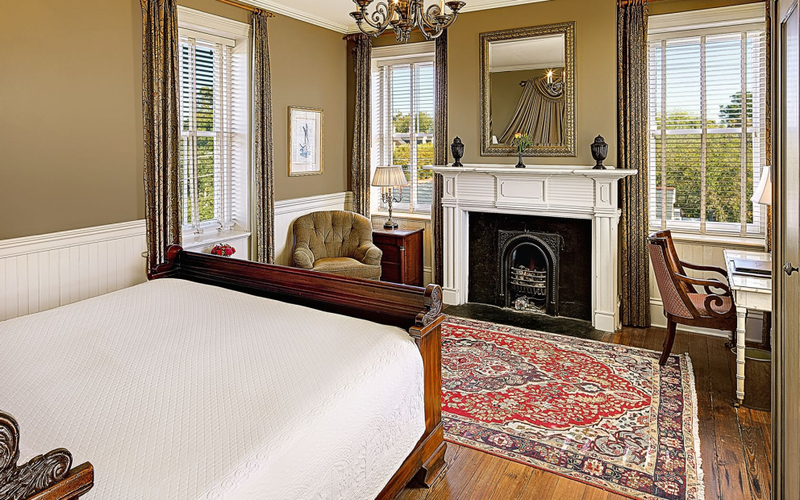 Most have original gas fireplaces and select rooms are furnished with a day bed. 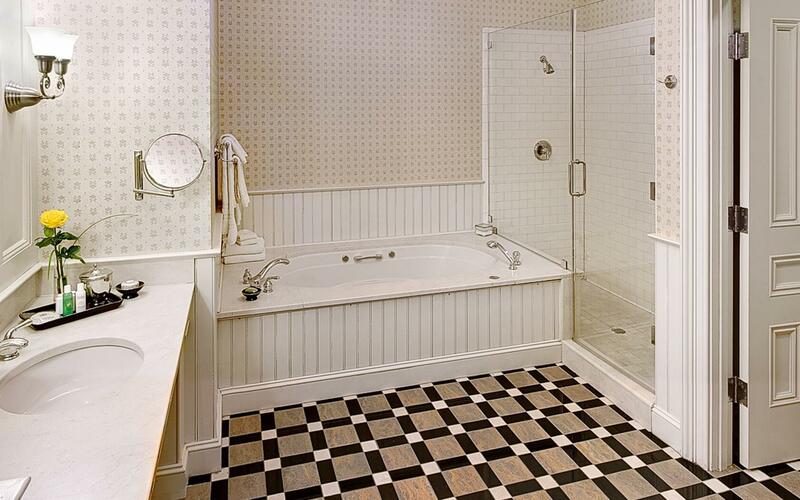 Expansive bathrooms have walk-in showers and oversized whirlpool tubs. 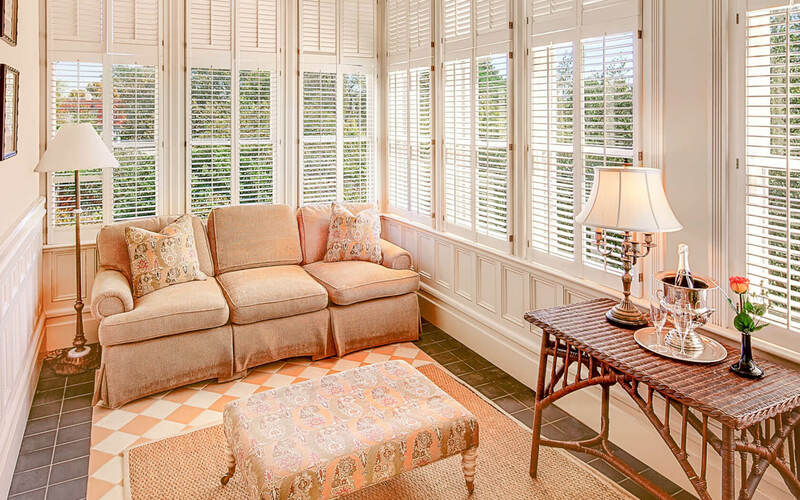 Mixing charming architectural details with modern must-haves, our Mansion Suites have original gas fireplaces, spacious bathrooms with walk-in showers and oversized whirlpool tubs, and sunrooms with plantation shutters (selected rooms). 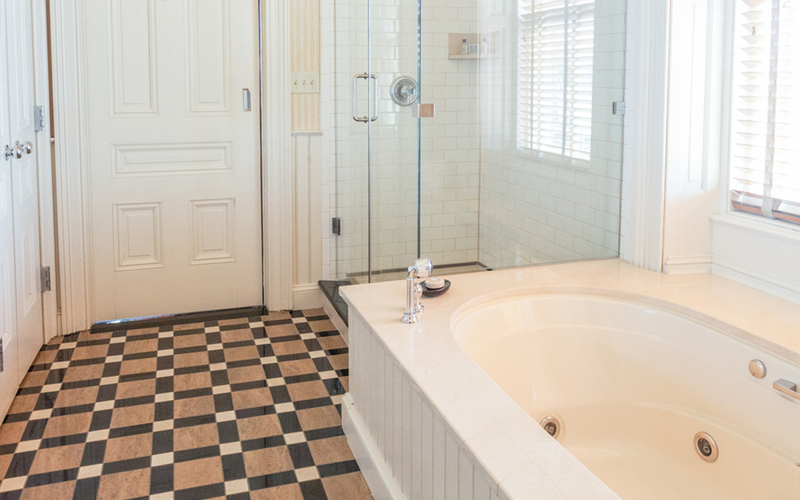 A spacious suite in the heart of historic Charleston, Suite Nine features a charming sunroom, library, and separate bedroom and bathroom with walk-in shower and oversized whirlpool tub. Decorative details include beautiful parquet floors, upholstered furnishings, and an original gas fireplace. Experience the ultimate in Charleston luxury in our Grand Mansion Suite, a two-room retreat furnished with two floor-to-ceiling marble gas fireplaces, two original Italian chandeliers and original Tiffany stained glass. 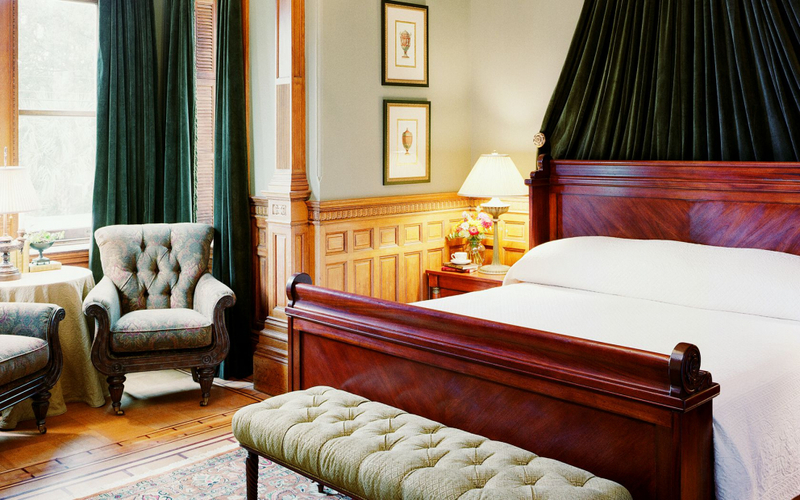 This one-of-a-kind suite is ideal for entertaining.